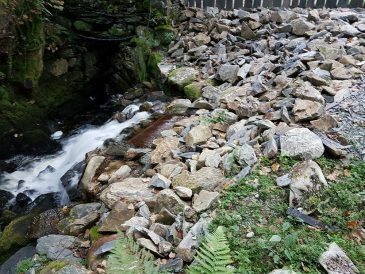 Construction works on the Afon Maesgwm hydropower scheme at Brondanw Estate are now fully completed. The bulk of the installation works took place throughout the autumn of 2016 and was completed early this year. 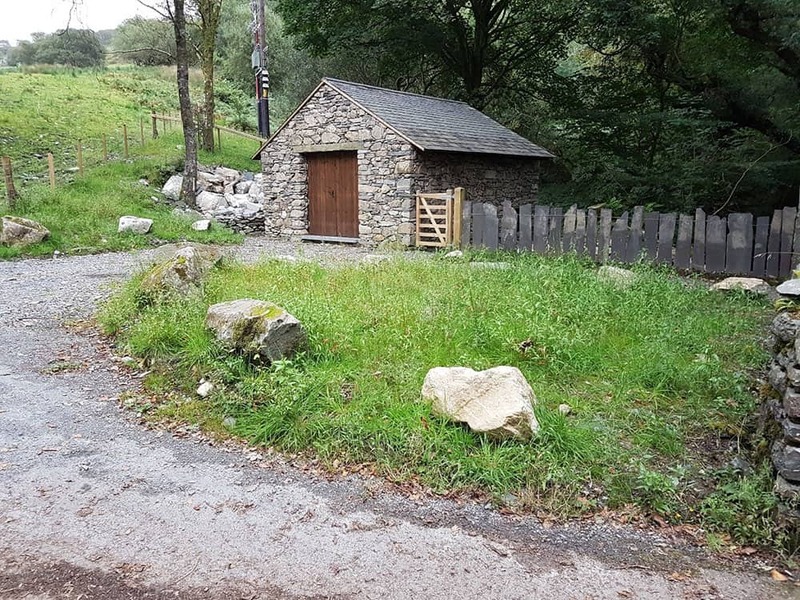 The hydropower site is a fine example of a sensitive development within the Snowdonia National Park. At the top end of the scheme at the water intake, water is filtered by two Coanda screens, prior to entering the 830 metre long penstock pipe to the turbine house. The penstock pipe is now buried and the landscape is resuming its former appearance. 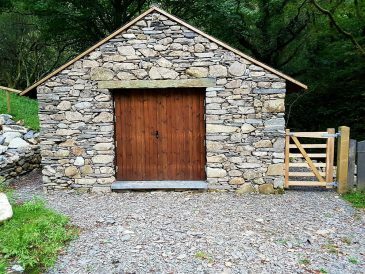 The turbine house is tastefully completed with natural stone and blends in well with the surrounding landscape. Furthermore, the thick walls and cladding of turbine house, combined with an innovative outfall design, produce an almost silent operation, when stood outside the building. 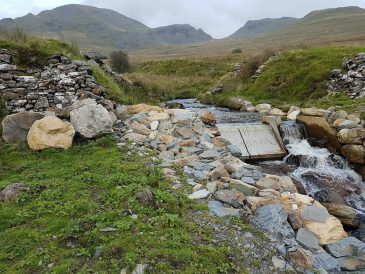 Renewables First has played a key role in the construction of the Brondanw Estate hydro scheme from its conception through to current installation. 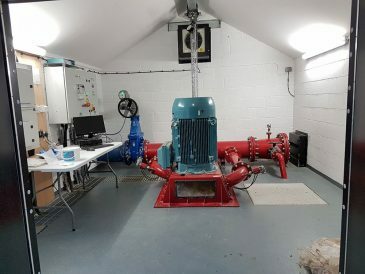 Beginning with a full hydropower feasibility assessment of the site, Renewables First was also responsible for the full design and specification of the system, undertook full planning and consenting works, as well as procurement and project management of the installation works. The 100 kW Turgo turbine is calculated to generate 486,669 kWhs of electricity per year. This is equivalent to powering 111 UK homes and an emissions saving of 243,335 kg CO2e/year. Below is a selection of pictures showing the finished installation at Brondanw Estate.